“Once the public becomes aware of the fact that properly made hemp medicine can cure or control practically any medical condition, who is going to stand up against the use of hemp?” Rick Simpson has dedicated his life to helping suffering patients (with all types of diseases and disabilities) with the use of natural hemp oil. Rick Simpson is a medical marijuana activist who has been providing people with information about the healing powers of Hemp Oil medications for nearly a decade now. Rick cured himself of a metastatic skin cancer back in 2003, and has since then devoted his life to spreading the truth of hemp oil. He has met an absurd amount of opposition and lack of support from Canadian authorities, as well as pharmaceutical companies, government agencies for health, and UN offices. Despite that fact, Rick Simpson has successfully treated over 5,000 patients (free of charge), and believes that all forms of disease and conditions are treatable. He states that it is common to have all types of cancer and diseases cured with the use of high quality hemp oil as a treatment. Rick has treated patients will all types of conditions including, but not limited to, cancer, AIDS, arthritis, multiple sclerosis, diabetes, leukemia, Crohn's disease, depression, osteoporosis, psoriasis, insomnia, glaucoma, asthma, burns, migraines, regulation of body weight, chronic pain, and mutated cells (polyps, warts, tumors). “Run From The Cure” Official Video Documentary. This documentary “Run From The Cure” was made by Christian Laurette in 2008 and shares Rick Simpson's story. The movie features interviews with people who were cured by Rick's oil, but were refused from testifying on Rick's behalf in the Supreme Court of Canada in his 2007 trial. This video documentary does a great job explaining the medicinal benefits of hash oil. 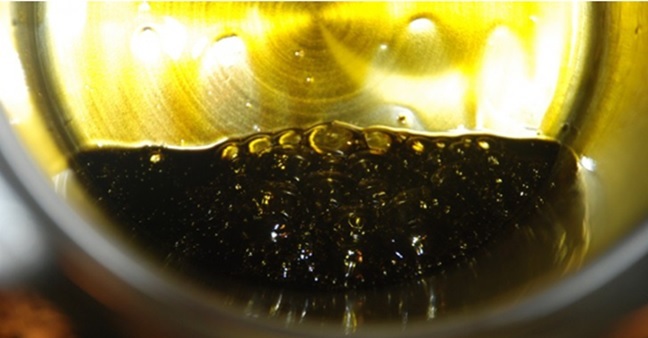 To make the Rick Simpson's hash oil, start with one ounce of dried herb. One ounce will typically produce 3-4 grams of oil, although the amount of oil produced per ounce will vary strain to strain. A pound of dried material will yield about two ounces of high quality oil. IMPORTANT: These instructions are directly summarized from Rick Simpson's website. Be VERY careful when boiling solvent off [solvent-free option], the flames are extremely flammable. AVOID smoking, sparks, stove-tops, and red hot heating elements. Set up a fan to blow fumes away from the pot, and set up in a well-ventilated area for whole process. Rick Simpson states that hemp oil rejuvenates vital organs, and that it is not uncommon for people to report the oil making them feel 20 to 30 years younger a short while after beginning treatment.